The Blackpool Festival takes place at the iconic Tower Festival Headland on the world-famous promenade. The mouthwatering mix of contemporary house and tech house stars alongside legendary world class spinners, includes for 2018, Example & DJ Wire,Faithless (DJ set), Roger Sanchez, Danny Howard, Josh Butler, Pirate Copy, Endor, Mason Maynard,Paul Oakenfold, Erick Morillo, Altern8, Todd Terry, Judge Jules, Dave Pearce, Utah Saints, Marco V, Solarstone, Darren Styles and tons more. 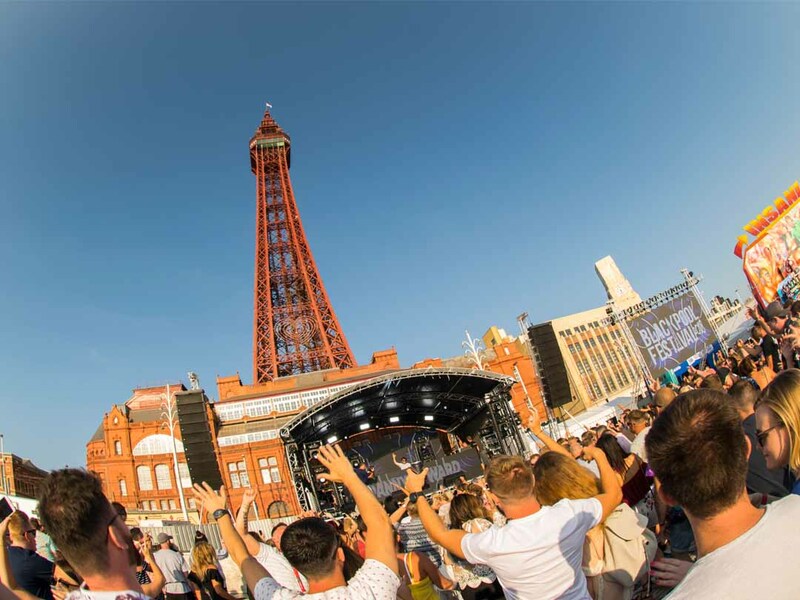 Over four stages plus a VIP area, Blackpool Festival comes in association with Back To The Old Pool – a one day house classics and rave culture festival that made history in 2017 as the first dance event to be held at the Tower Festival Headland. It brings with it definitive northwest brands such as The Syndicate, Sanctuary, More Cake, HQ, and the internationally acclaimed Hed Kandi, to cater for a wide-range of musical tastes.